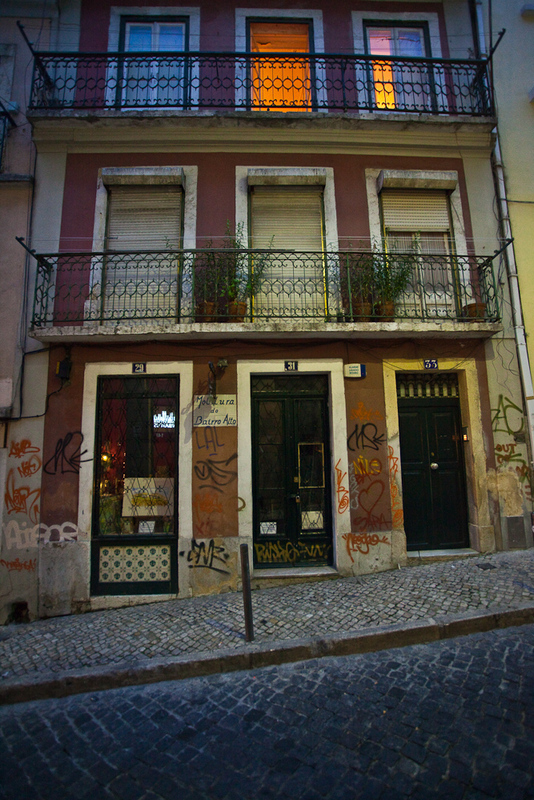 above is a photo of the outside of our temporary apartment in bairro alto. we live on the 3rd floor (not visible in this photo). bairro alto is a historic district, but it’s also the nightlife district so there’s a lot of graffiti. 90% of it are tags like these, but around a few corners there are some interesting stencils and other street art. i’ve uploaded some more photos. you can see them here. also, today my iphone became a portuguese resident and now has a 9 digit phone number.